» Ready Reckoner to participate in BCPL e-tender through CPP Portal of NIC. » Steps for Bidder enrolment process in BCPL e-tender through CPP Portal of NIC. This is the official website of Brahmaputra Cracker and Polymer Limited (BCPL), a public sector undertaking of the Government of India under the Ministry of Chemicals and Fertilizers. 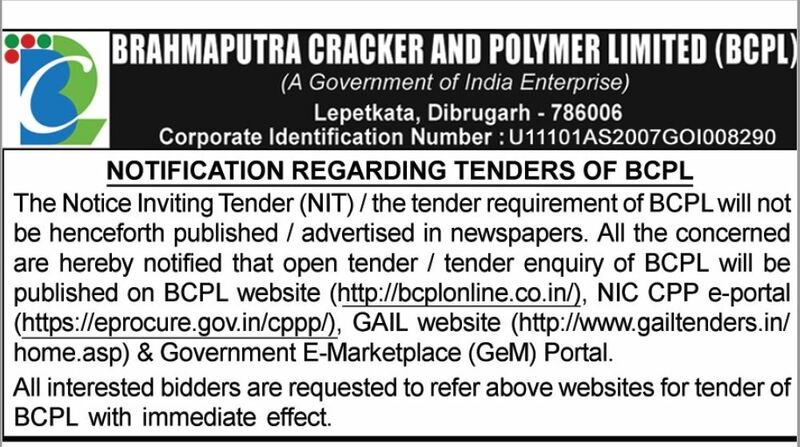 Copyright © 2019, Brahmaputra Cracker and Polymer Limited (BCPL), All Rights Reserved.